Thank you for leaving comments! I appreciate them so much!! Drum Roll Please!!!! First off, congratulations to Kathy P. and Colette for winning this week's blog candy. Each will have a choice of TIEF folder from my Prize Box! They found the magic words and emailed "moon lake" to me. 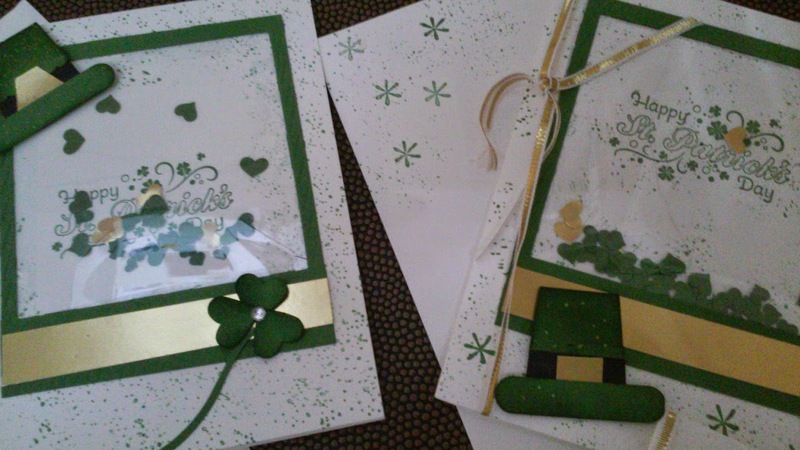 Fun times this week with our St. Patrick's Day shaker card. I love the sentiment stamp, a cherished retired wood stamp and the fun flat shaker. There is a list of products used below. 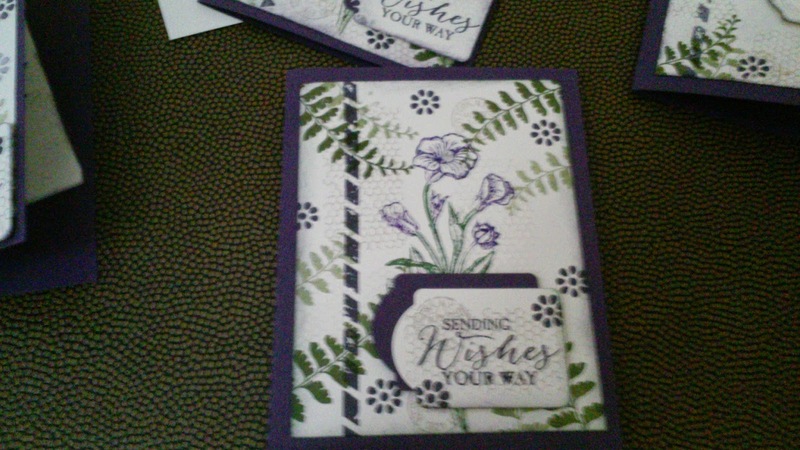 Next, we made this pretty botanical card using the Butterfly Basics stamp set from the Occasions Catalog. I used ideas from stamping friends, Linda and Gwen, but ended up with no room for the butterfly framelit. No worries, we'll be using the butterfly framelit soon! We sponged the edges of the sentiment and card front, as well as the inside sentiment card. You can order these items in my online store! Remember to email me if you select "no contact" so that I can give you perks for free merchandise and give you quality service, not to mention a big "thank you"!! Ree, I'm loving how you are now including supplies for the projects. Sometimes I don't remember what colors we'd used in class. And I know I can use any color I want, but I like the ones we used. Your blog is really coming along. Thanks.